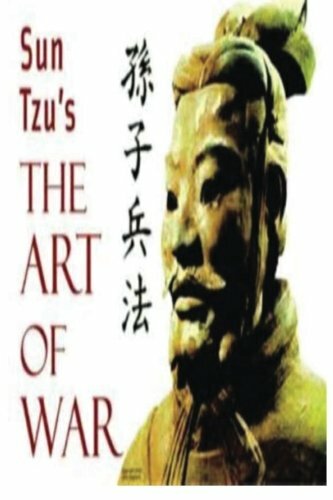 Amazon.com description: Product Description: The Art of War is an ancient Chinese military treatise dating from the 5th century BC. Attributed to the ancient Chinese military strategist Sun Tzu Ã¢ÂÂ "Master Sun" (Sunzi or Sun-tzu), the text is composed of 13 chapters, each of which is devoted to one aspect of warfare. It is commonly thought of as a definitive work on military strategy and tactics. It was placed at the head of China's Seven Military Classics upon the collection's creation in 1080 by Emperor Shenzong of Song, and has long been the most influential strategy text in East Asia. It has had an influence on Eastern and Western military thinking, business tactics, legal strategy and beyond. The book was first translated into the French language in 1772 by French Jesuit Jean Joseph Marie Amiot and a partial translation into English was attempted by British officer Everard Ferguson Calthrop in 1905. The first annotated English language translation was completed and published by Lionel Giles in 1910. Leaders as diverse as Mao Zedong, General Vo Nguyen Giap, General Douglas MacArthur and leaders of Imperial Japan have drawn inspiration from the work.